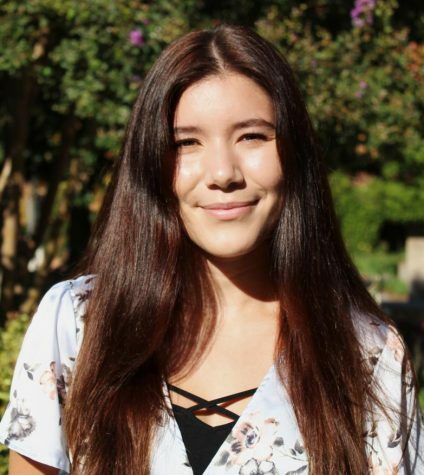 Anissa Medina (‘18) is the Assistant Editor-in-Chief and Editor of Culture & Lifestyle of the Webb Canyon Chronicle and has been on the team for three years. She joined the newspaper because she loves to write and participate in important dialogue, especially issues concerning minority representation. On campus, Anissa is also the captain of the cross country team, but she spends most of her time off campus as a day student. Anissa loves to craft her outfits every morning before school, eat Skoop during Wednesday lunches, and chill with her dog, Cash, in her Fiat named Ferdinand. As a Libra, Anissa prioritizes balance in all aspects of her wild life <3.